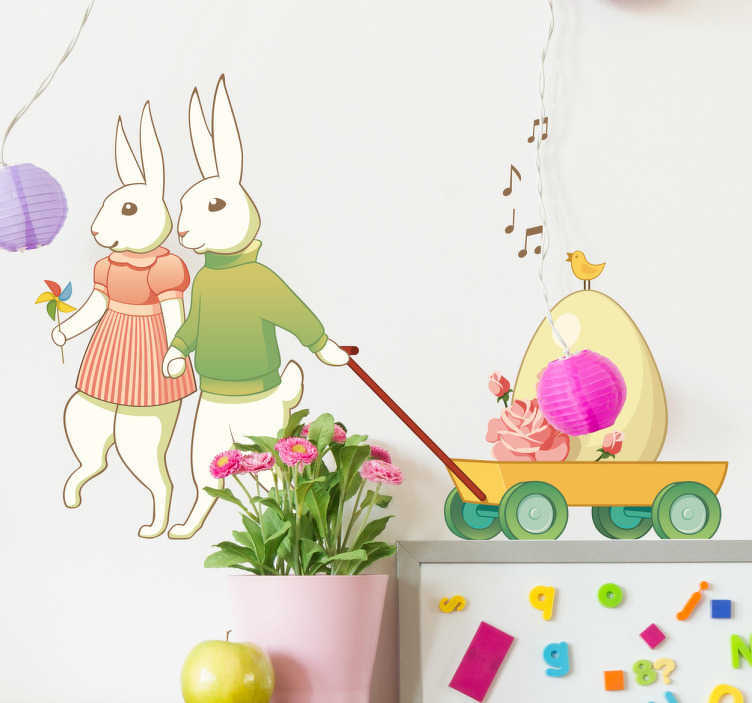 A pair of rabbits holding hands pulling a trolley with a large egg! A creative decal from our collection of bunny wall stickers for Easter! Are you looking for a fun rabbit decal for this Easter? If yes, this creative and original design is ideal to give your home a fun atmosphere. Ideal for Easter and to decorate any space at home. This bunny couple design is available in various sizes. Made from high quality vinyl, easy to apply and remove. It leaves no residue upon removal.